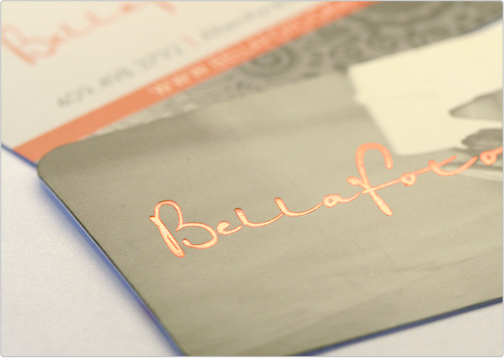 This classy business card was designed for a photography company. The design implements a grey scale image stamped by decorative red foil in the form of script type face (company name). 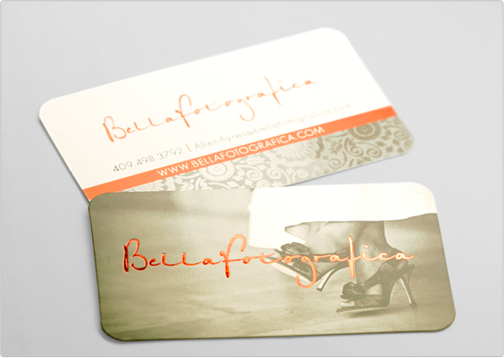 This classy business card is printed on 16pt silk matte finish and also contains rounded corners and spot gloss highlights over the floral pattern on side 2 of the business card.